You won’t believe your eyes when you see the huge Hot Wheel race track and the beautiful Barbie play house that is featured in this episode of Yasya’s Kidblog. 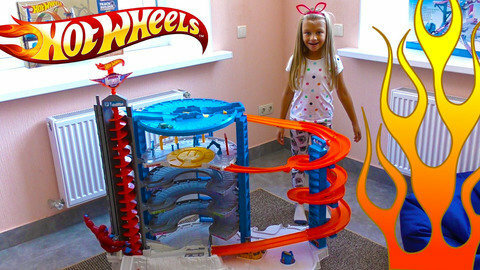 She plays with the Hot Wheels Cars and tracks that do various manual and battery operated tricks. Watch the cars flip, go around a loop, race against each other or get caught in a shark’s mouth while hearing the baby song The Farmer In The Dell. Discover the other toys that Yasya enjoys to play by watching her other videos at SeeZisKids.com.